I know that many parents struggle to find the time and resources to incorporate healthy habits into their child(ren)’s daily routine. Come join me at one of my workshops on ‘Raising Healthy Kids’, and discover nutrition and lifestyle approaches to improving your child’s health. 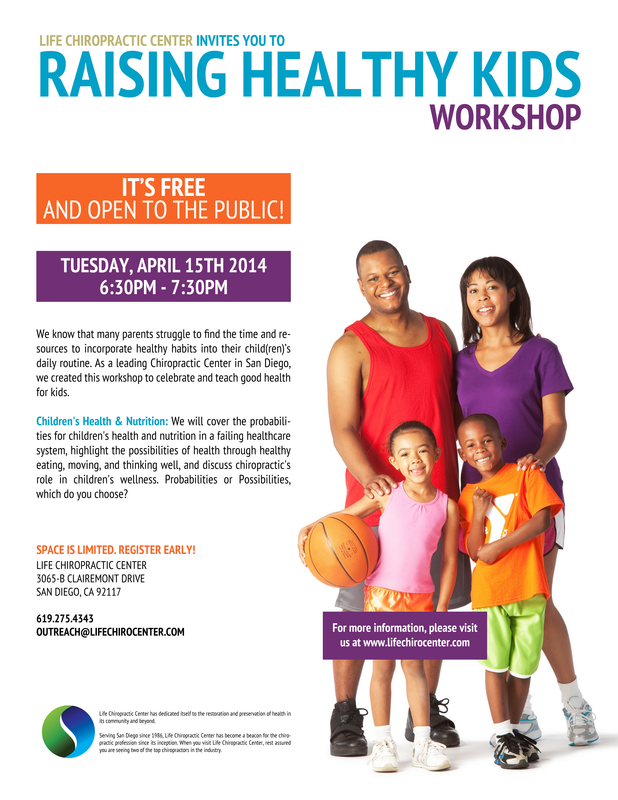 This workshop will feature practical steps to effectively tackle every parent’s main concern – getting their kids to develop healthy habits! The workshop is for adults only, but it will give parents tools to take home and share with their children, getting everyone motivated to stay healthy. Space is limited, so please register early. 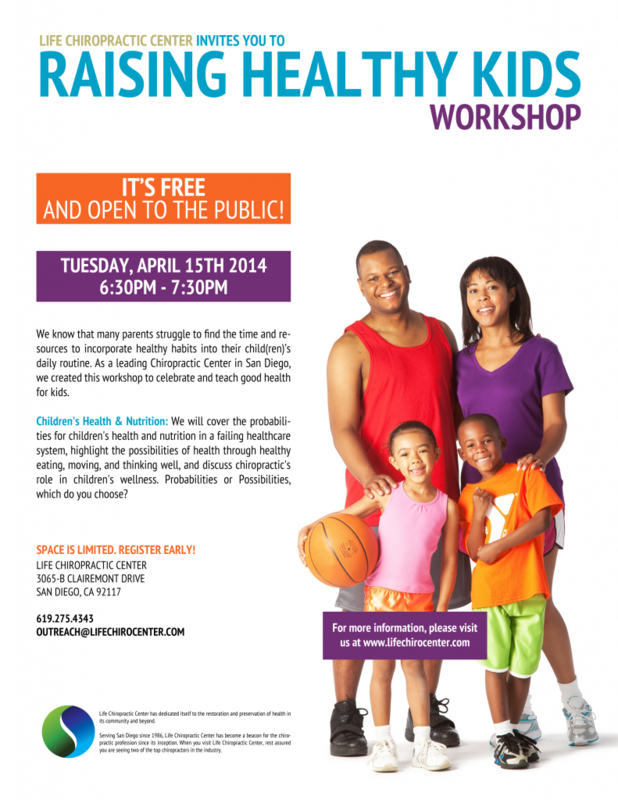 The event flyer for the Raising Healthy Kids Workshop can be downloaded here. For more information, you can email us at outreach@lifechirocenter.com or call us at 619.275.4343. The workshop is FREE and open to the public.